Game of Thrones creators like to keep the show shrouded in mystery — actors can't reveal anything about Season 6 and everyone attached to the show is saying Jon Snow is dead even though JON SNOW IS TOTALLY ALIVE, OK? Well, maybe. Thankfully fans have finally learned a few things about what's to come in Westeros. It was announced recently that famous thespian Ian McShane will be joining the show, however his role was not officially released. Then, Entertainment Weekly reported on Monday that another stage star, Max von Sydow will also be added to the cast as the Three-Eyed Raven. Another actor, Struan Rodger, had played the small role in previous seasons, but Max von Sydow is coming on as the Three-Eyed Raven becomes more important to the show than ever before. 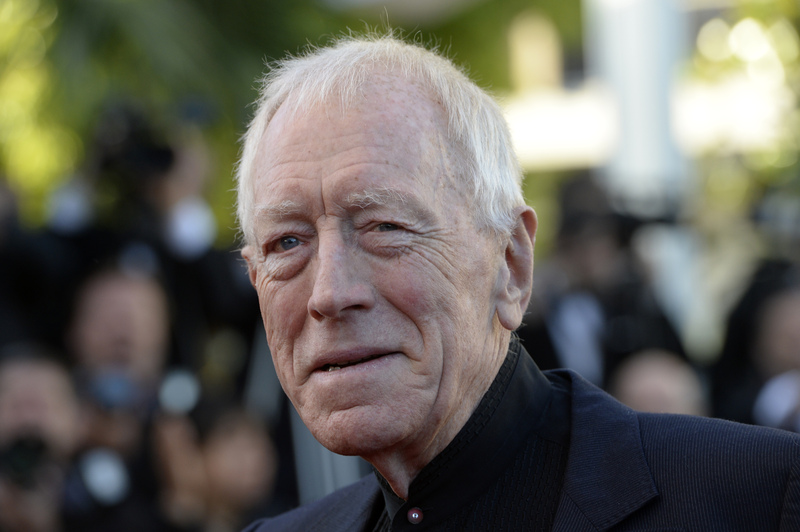 Max von Sydow, who is best known onscreen for his roles in The Exorcist and Minority Report is joining the HBO drama for perhaps its most pivotal season. Game of Thrones has officially outrun the book series and is now writing its own story, separate from the work of creator George R.R. Martin. The series' most beloved character was slain in the Season 5 finale, Daenerys Targaryen was trapped by Dothraki, and Cersei Lannister was finally released from prison and will most assuredly seek revenge. Needless to say, Season 6, with the threat of the White Walkers encroaching, will be the show's biggest yet. Bran, who was absent throughout all of Season 5, is going to return in a big way in Season 6 and the Three-Eyed Raven will have a major influence on how Bran uses his power of greensight. The vision of the raven has guided Bran in his dream state and in his waking life, helping him through his quest beyond The Wall. Most importantly, he awoke Bran from his coma. Dyring his journey through the haunted forrest, Jojen died right before making it to safety in a cave. There, Bran and Meera meet the Three-Eyed Raven in his true form, an old man who is rooted in a weirwood tree. He is Going to Help Bran "Fly"
Bran might not be able to walk, but that doesn't meen he's powerless. The Three-Eyed Raven will teach him how to harness his magical powers and help the House of Stark rise in power once again. Bran is capable of both of these things and the Three-Eyed Raven will be his tutor. Greensight means a being can wield power over nature and have prophetic visions, which Bran has already experienced. Skinchanging, which Bran will soon learn, is the ability to take over the mind of an animal and control its movement and behavior. "Most of him has gone into the tree ... He has lived beyond his mortal span, and yet he lingers. For us, for you, for the realms of men. Only a little strength remains in his flesh. He has a thousand eyes and one, but there is much to watch." Though the Raven is attached to Bran, his wisdom and guidance is crucial for Bran's siblings. In A Dance With Dragons he says to Bran, "The strongest trees are rooted in the dark places of the earth. Darkness will be your cloak, your shield, your mother's milk. Darkness will make you strong" Arya was blinded at the end of Season 5, so this bit of advice is particularly helpful to her.